Untitled Project: Seasonal Economies by Conrad Bakker is now on view at the BCA Center in Vermont through November 24th. 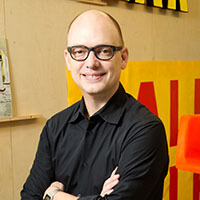 Conrad Bakker, a professor at the School of Art+Design, has been named a University Scholar. Bakker has shown nationally as well as internationally and has had 23 solo exhibitions.